Tipped for T-Mobile a few days ago, Samsung has now officially announced the Galaxy Tab 7.0 Plus, an updated version of the venerable 7-inch tablet. Samsung was first to market with a quality Android tablet, but it did (and still does) so with Froyo, not the newer Honeycomb tablet-optimized OS. That changes with the Galaxy Tab 7.0 Plus. In addition to having Android 3.2 Honeycomb, it's got a 1.2GHz dual-core processor, 1GB of RAM, a 3MP rear camera and 2MP front camera and Samsung's TouchWiz UI on the 7-inch, 1024x600 display. It'll come in either 16GB or 32GB flavors, with a 4,000 mAh battery, and weigh 345 grams. The version announced today sports tri-band HSPA+ (900/1900/2100) and quad-band EDGE (850/900/1800/1900), but, again, there's that T-Mobile leak, so we'd expect some AWS love at some point, too. 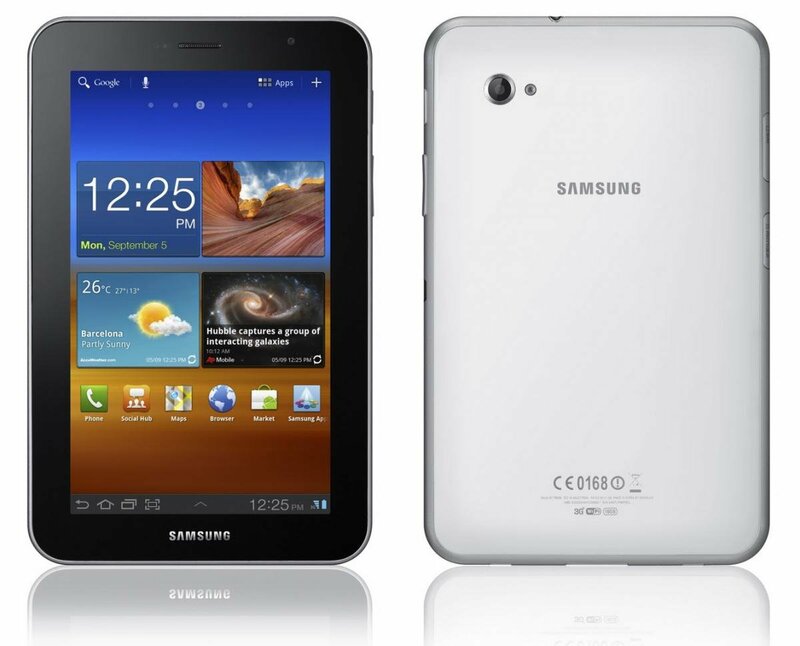 Furthermore, the GALAXY Tab 7.0 Plus offers voice and video call support, with no need for a headset. Users can see friends and family from anywhere in the world in high quality thanks to the device’s larger screen.